Within a short time period of one year, we have carved a niche in supplying an error free range of Radio Frequency Surgical Unit. The offered unit is mainly demanded in hospitals and research centers for measuring the frequency during surgical operations. This unit is manufactured by deft professionals using top quality components and further checked on various parameters. 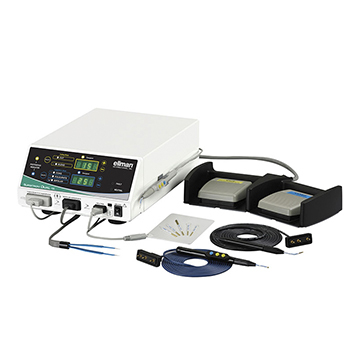 Our clients can avail the provided Radio Frequency Surgical Unit at cost effective prices from us.